Enjoy a fun filled, soul restoring vacation in a SOS (Soul of the Sea) Vacation Rental! 3 day min required. Reviews at bottom of availability page. We have three clean well appointed homes, conveniently located and all less than 15 minutes from Assateague Island, the Ocean and NASA! 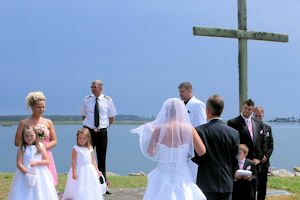 Something for everyone, amazing sunsets, museums, boat tours, kayaking, a family reunion, a wedding, a girlfriend trip, dad’s or mom’s weekend away, fishing or hunting, bird watching, cultural art festivities, everything on your wish list to have a wonderful vacation, reunion, wedding and so much more. 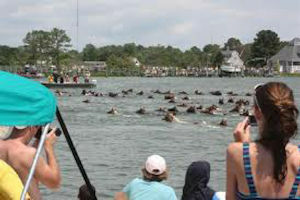 Check out our website for all the details and find a treasure trove of valuable information to create the vacation that awaits you… The Native American Tribe led by Chief Barabokees and Emperor Waskawampe, had claimed as their own an island five miles off the Virginia coast, calling it Chincoteague Island or “The Beautiful Land across the Water.” Rent individually or together. 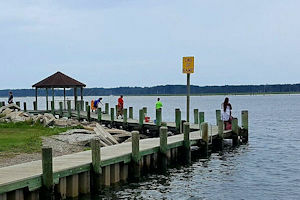 Two of our rental homes (Sea Heart & Soul and Sea Adventure) are conveniently located next to Chincoteague’s Waterfront Veteran’s Memorial Park. 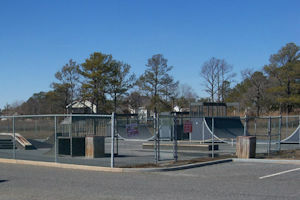 You will have immediate access to Park amenities, including a Playground, Basketball Court, Tennis Court, Pavilion, Charcoal Grills, Fishing Pier, Boat Ramp, and Skateboard Park. 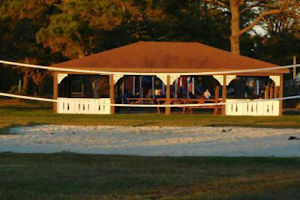 The Park is an ideal setting for Family Reunions, Birthday Parties, and Weddings. Our third rental home (Sea Harbor) is located just three blocks from Maddox Blvd, where you will find Restaurants, Shops, Miniature Golf, and other amusements. Just a short drive on Maddox Blvd takes you onto Assateague Island, where you’ll find the Chincoteague National Wildlife Refuge and an Ocean front Beach! All of our homes have Charter 120 channels+ with local channels as well as individual, reliable 30 MBPS broadband wireless internet. FREE WIFI. Plenty of speed to stream music, watch YouTube, Netflix or play games! All rentals are guaranteed to have: Required smoke detectors: carbon monoxide free rentals: Fire extinguisher: on laundry-room shelf. First aid kit: one fully stocked first aid kit for emergencies. Deadbolt lock: Outdoor lighting. 1 set of linens for each bed, at least 8 towels, 8 wash cloths, couple of dish towels and cloths, a hair dryer, hand soap for each bathroom, 1 roll of toilet paper per each rental day, 1 roll of paper towels for every 2 days of rental, dish-washing liquid, 1 cup of sugar packets, powdered cream, salt and pepper, some spices, cooking spray, laundry soap, enough for two loads per day of rental, coffee pot, coffee, enough for 1 full pot per rental day and filters, blender, toaster, mixer, iron, etc… Click on Rental name at the top of this page for more details. To Sea calendar, welcome letter, contract and pricing click on Availability & Reservation, click on select house, select dates on calendar and pricing will show at bottom. A $325.00 deposit is required to hold reservation, if less than 15 days out, full balance must be paid. 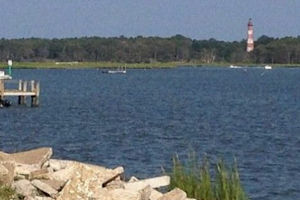 The clean beaches, marshes, and forests of Chincoteague Island and its barrier Island known as Assateague, encompass the island residents with seasonal beauty throughout the year and provide over a million annual visitors with great outdoor experiences that will ensure a fun and memorable time on the islands. This oyster-and-crab-rich island is also home to the famous Chincoteague oysters and ponies. Reservations must be made by person’s age 25 years or older, provide id and must be a guest at rental.